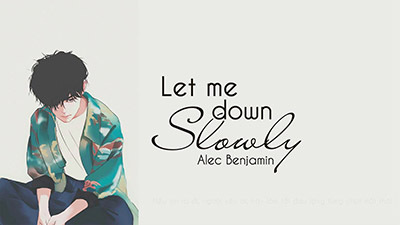 "Let Me Down Slowly" is a song by American singer-songwriter - Alec Benjamin, featuring with Alessia Cara- a Canadian singer, songwriter. The song was written by Michael Pollack, Sir Nolan & Alec Benjamin and produced by Sir Nolan. In this song, Alec is talking about a moment of his life with his ex-girlfriend. This song was later officially remixed by Alec and featured GRAMMY award-winning artist, Alessia Cara.